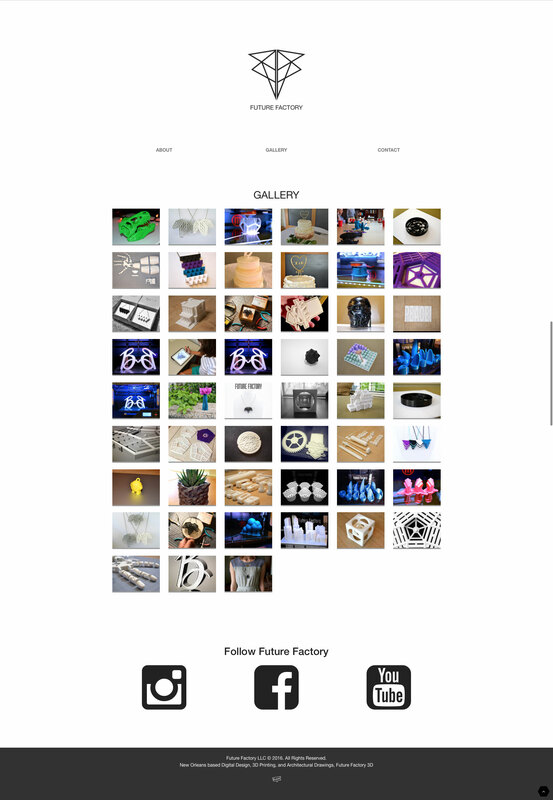 Future Factory is a full service 3D printing and digital design studio based in New Orleans, Louisiana. 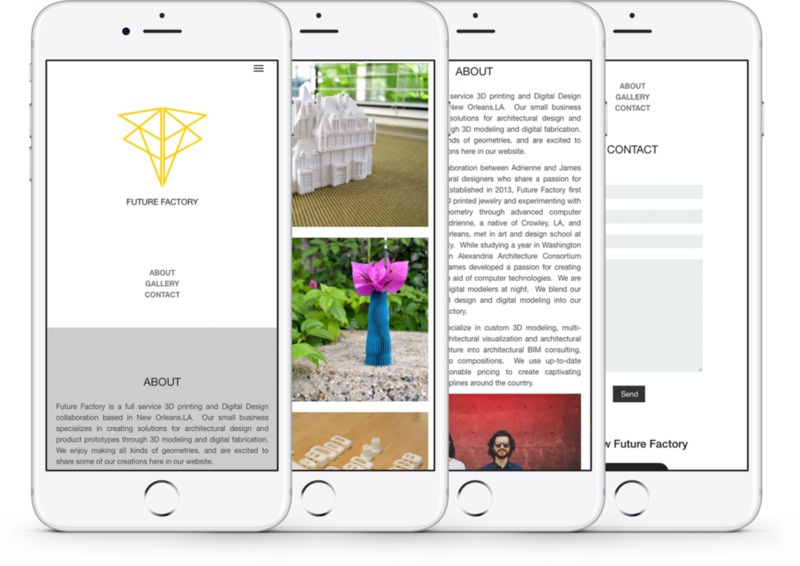 Founded by two architecture graduates, they create solutions for architectural design, prototypes and digital fabrication. Taking into account the product and the background of its owners, we created a modern logo design using a monogram-like style with geometric shapes. 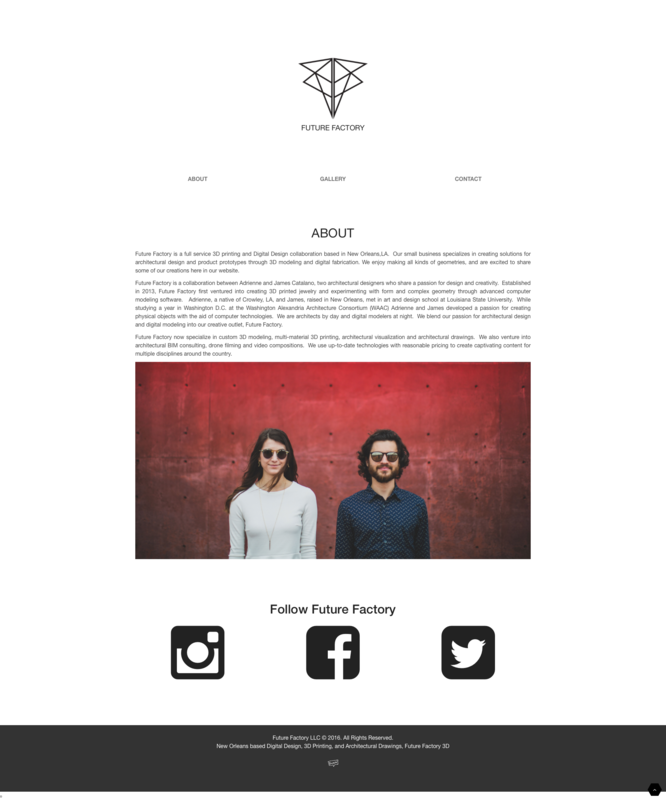 We also produced simple website design to showcase their work. Dunn Deal Design is my go-to designer for my company logo and website. Fantastic quality with a quick turn around and fair pricing. 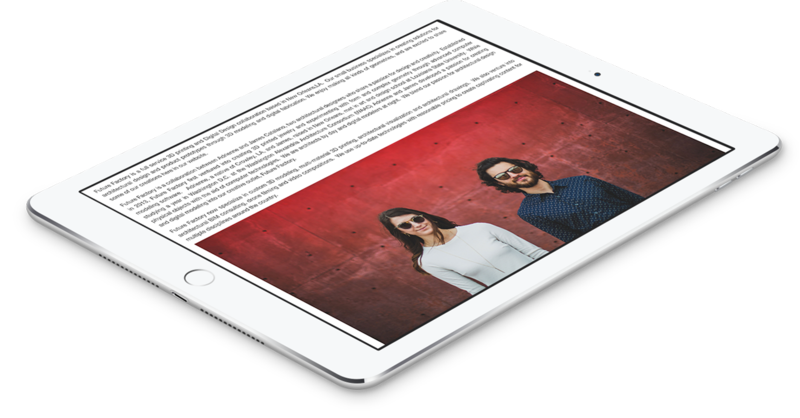 Dunn takes our jumble of ideas and fleshes them out with a well executed and polished design. Dunn Deal Design is efficient, reliable, and I highly recommend his services for any professional business or personal endeavor.